Experienced, quiet, solo house-sitter. Animal and nature lover. Non-smoker. 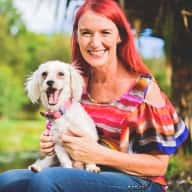 I am a non-smoking, animal loving, Australian writer and coach who travels for 'real-life' book research and the joy of connecting with local communities in creative ways. 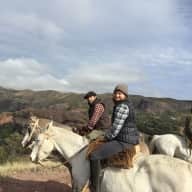 As I am child-free and my business is location independent, I am fortunate to be free to explore new places and make friends all over the world. 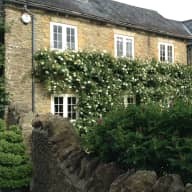 In my 50th year of living I'm choosing an adventure in house-sitting around the UK, Ireland & Europe during the summer, and Hawaii later in the year. 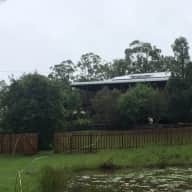 I have done house-sitting in Noosa and Brisbane (Australia), owned and renovated my own houses and love being able to give a deep level of love and care to your pets and your home whilst I'm exploring the world. Nothing beats a furry friend to make you feel at home anywhere! Having travelled extensively, I love the deeper connection to smaller local communities that house-sitting brings. Animals love me and pet-sitting gives me the chance to meet new furry friends for cuddles and play in a wide variety of natural environments. Each animal I connect with has their own world and I welcome the gift of seeing the world through their curious eyes. They are also a wonderful connector of people in their own magical ways! Most of all I love giving other people the chance to travel and enjoy relaxing holidays, knowing that their pets and home are in the best of hands and that everything will be attended to with the high level of care I have given to my own pets and home. My much-loved cocker spaniel (now in doggie heaven) would never have been happy in a kennel and she loved meeting new people who would take her on adventures - I am sure your pets love staying in their own homes too! I had a corporate career until I was 40 and have had many leadership positions. As a coach I am used to gaining clarity in a diversity of situations and making choices that lead to the best possible outcomes. 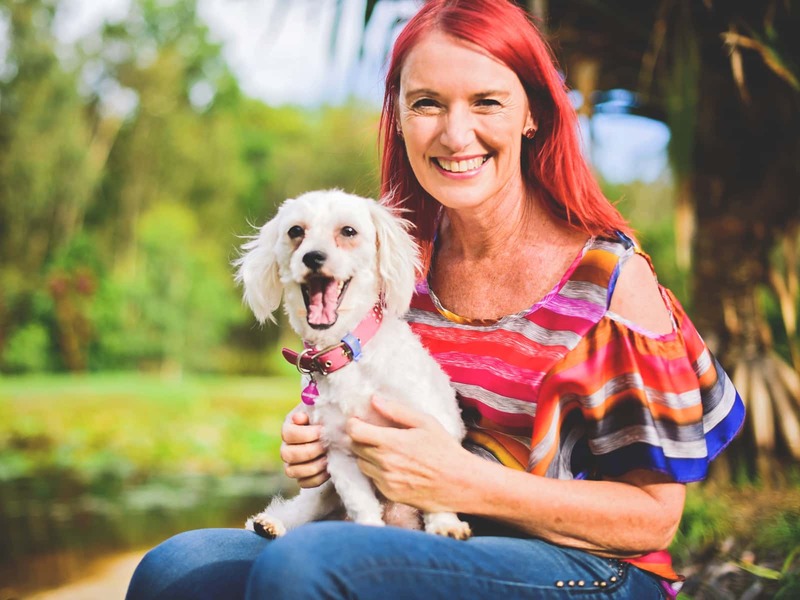 Having facilitated over 100 classes in the last 8 years via my business, I am a highly capable communicator (written & spoken) and can ensure that your pets and home receive the best of care in all circumstances. I have an Australian police check available. I have cared for a golden retriever post-operation, keeping him calm and quiet (no mean feat!) in his own beach-house. I've cared for a variety of smaller dogs and a loveable staffy (in my home and theirs). I love to walk as a way of exploring a new area so any exercise your pet requires is easy for me. My work hours are mostly flexible and I can fit into your pet's normal schedule in most cases. As I work from home, your pet will have the benefit of regular company too. I have completed courses in horse massage (fascia-based) and in working with horses in natural ways. Whilst I haven't yet had the pleasure of owning one, I was lucky that a beautiful couple in their 90's allowed me to love and care for their horses on their property when they were too incapacitated to do so. I have healing capacities too. My friend's cat was able to walk much more easily after I'd spent a few minutes each day cuddling it. It went from not being able to walk downstairs without pain, to playing with the dog in just a few days! Wild birds have been known to befriend me and I had birds as a child. Most animals love me and I have an ease in caring for them and communicating with them. I would love to get to know your pets and their quirks as well as you do. HOUSES :: I love to live in a clean, tidy environment and will ensure that your house is at least as tidy as you left it. I tend to use cleaning as my moving meditation and enjoy creating a nurturing space to live in. 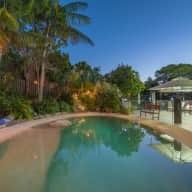 I dealt with a steady stream of tradespeople in the luxury rental home with pool that I had in Noosa for over a year. I left it in immaculate condition. Lisa house-sat for us for 3 weeks during March. She immediately sensed we are a bit 'protective' of our animals and kept in constant touch with us whilst we were away, sending photos and updates regularly. She cared for our house and our animals (horses, dogs and chickens) like they were her own. I highly recommend Lisa for any house sitting job that interests her. She's a pro. Lisa minded our menagerie of farm animals and birds at Wishingwell Farm, Lillian Rock, for 5 days. She did a wonderful job caring and feeding them all and also left our home in great order. We were extremely grateful she helped us out at short notice and we were delighted that all the animals were happy and healthy when we arrived back home. I would highly recommend Lisa as a minder and would definitely be asking for her service again in the future. Thanks Lisa for doing a great job of looking after our house and our two dogs while we were away. Our house was left clean and tidy, our dogs were happy and healthy. It was a pleasure to have Lisa in our home, and I am happy to recommend her as a sitter and would definitely use her again. Lisa is a wonderful host and housekeeper. I had the pleasure to be hosted by her last year for 2 weeks. She is such a lovely and caring woman, generous and always looking at your good. I felt so home and she looks to provide a good atmosphere in the house that you always feel welcome. Lisa has respectfully and responsibly looked after my house and two dogs (one being a Golden Retriever and the other a poodle terrier). On my return, I could tell by their demeanor that they had enjoyed their time with her. I have known Lisa and her family for many years. They are honorable and kind people. I have known Lisa for the last year and she recently stayed and looked after my house and my dog Ziggy (American Staffy). Lisa is a wonderful person with a trustworthy personality. She is clean and tidy, reliable, and is very much an animal lover. Which is always puts my mind at ease when I don't have to worry about my fur baby when I'm away from home. They have become good friends and I know Ziggy will miss you Lisa. Thank you! Looking forward to having you stay again!